Every dog should receive basic training. Basic training includes teaching the skills sit, stay, down, come, and wait. Once a dog knows these skills, they can be used in a variety of situations to redirect unwanted behavior. Many dogs have unwanted behaviors such as jumping on people to greet them, sniffing at parts of our anatomy we wish they wouldn’t, dashing through doors, racing up and down stairs, jumping in and out of the car without permission, and begging at the table. There types of behaviors can lead to embarrassment, an unhappy household, or injury to your pet or others. We can’t anticipate all possible unwanted behaviors and certainly don’t want to dampen our dog’s enthusiasm for life by constantly telling him ‘no.’ By teaching basic skills, such as sit, stay, down, come, and wait, we can redirect our dog when these unwanted behaviors occur. 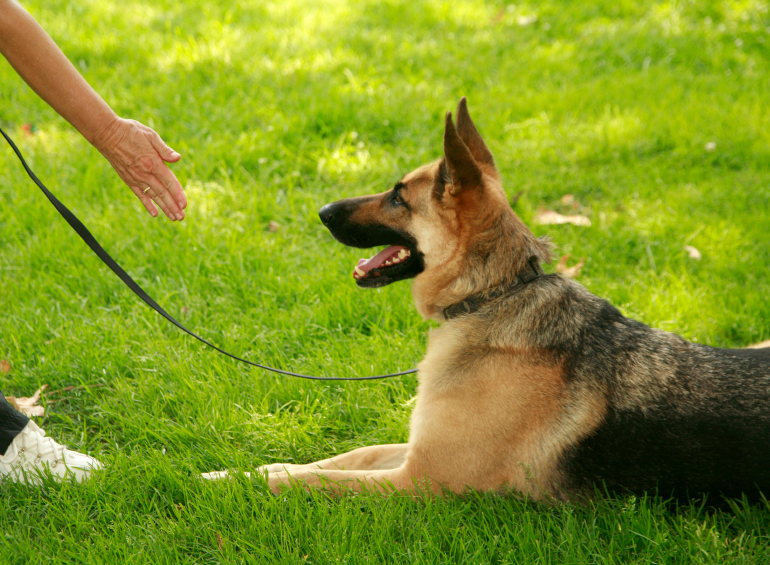 You can train your dog in these basic skills yourself, take him to a dog training class, or seek private dog training. There are numerous sources of information on training techniques available on the internet or you can refer to dog training videos or books such as Dog Training for Dummies (by Jack and Wendy Volhard).